One of the traditional activities of the holiday season are musical performances. 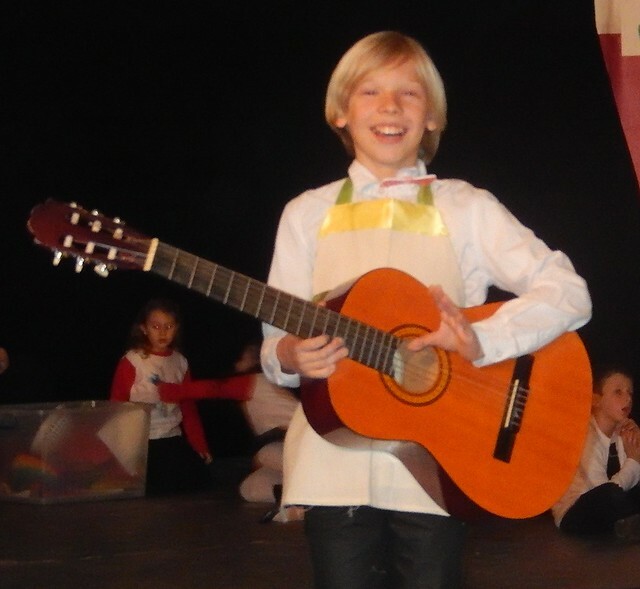 This year all three of our children had roles in the huge, International School of Belgrade’s Lower School, “A Menu for December” performance. The event had over 150 students on stage and was well attended by parents and family. 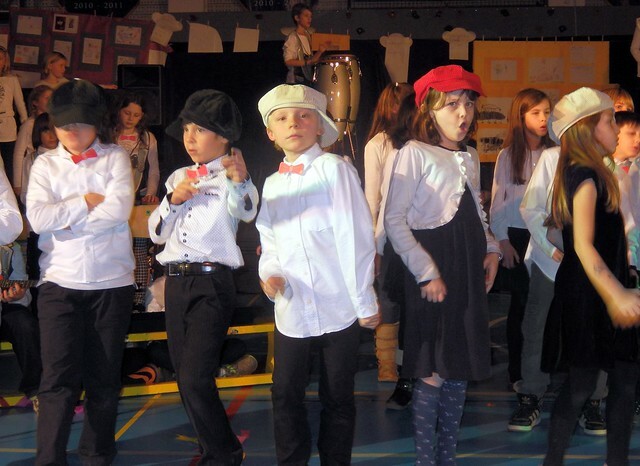 Oliver, above, was with the third graders and they were featured in a jazz-type dance number. Owen played guitar for the song “La Bamba” and he also had a small speaking part. The fifth graders had to carry the show and they spent a lot of time helping the Early Childhood students. 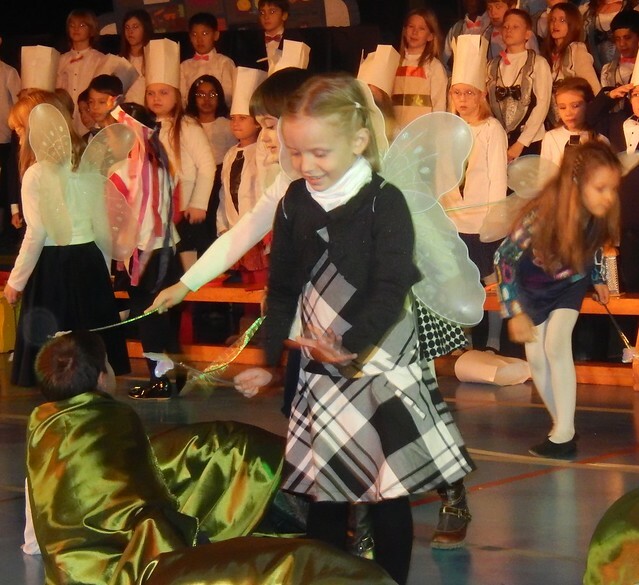 Ocean played a fairy-butterfly and was a leader for her group, as her teacher, Ms. Ana said in this video. 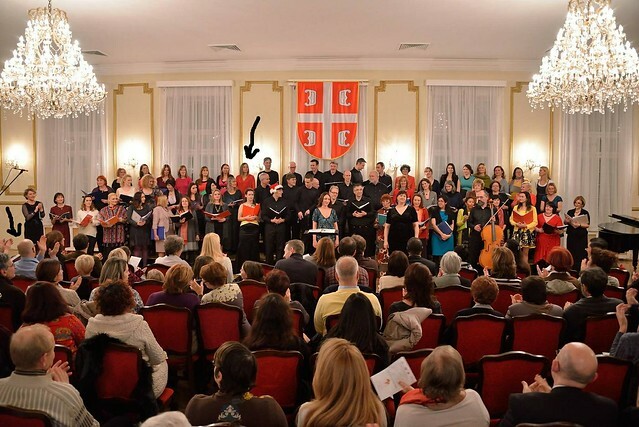 Finally, Nadia also got into the act with her singing in the International Choir of Belgrade. The Canadian Embassy of Belgrade organizes a 70-strong choir of expatriates. They performed in the Serbian Army House (Vojske Dom) in Belgrade in a charity concert. The proceeds went to the the Union of the Blind of Serbia. William — that boy of yours is starting to look a lot like his father! I enjoy your posts. Merry Christmas to you and your family. Yes, no need to have a paternity test with my children! 🙂 I am also reading your blog. Great to hear from you. How are you? Merry Christmas and Happy New Year to you.